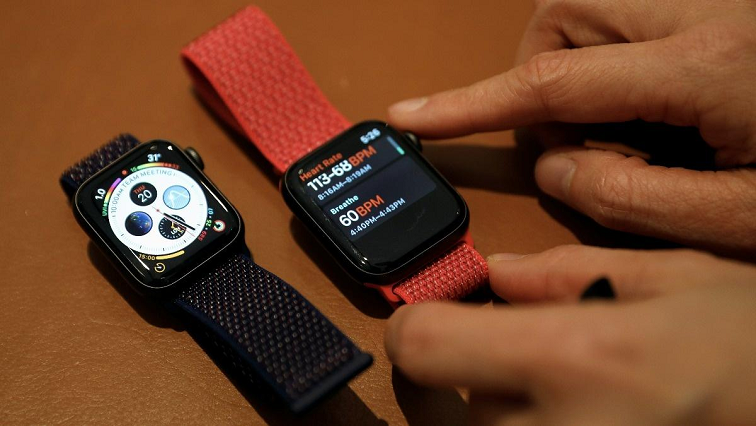 Apple Watch detects irregular heart beat in large US study - SABC News - Breaking news, special reports, world, business, sport coverage of all South African current events. Africa's news leader. Researchers hope the technology can assist in early detection of atrial fibrillation, the most common form of irregular heartbeat. The Apple Watch was able to detect irregular heart pulse rates that could signal the need for further monitoring for a serious heart rhythm problem, according to data from a large study funded by Apple Inc , demonstrating a potential future role for wearable consumer technology in healthcare. Patients with untreated AF are five times more likely to have a stroke. Results of the largest AF screening and detection study, involving over 400 000 Apple Watch users who were invited to participate, were presented on Saturday at the American College of Cardiology meeting in New Orleans. Of the 400 000 participants, 0.5%, or about 2,000 subjects, received notifications of an irregular pulse. Those people were sent an ECG (electrocardiography) patch to wear for subsequent detection of atrial fibrillation episodes. Some 84% of the irregular pulse notifications were later confirmed to have been AF episodes, data showed. This entry was posted on 17 Mar 2019,03:29PM at 3:29 PM and is filed under Sci-tech, News, Homepage Latest Stories Slider. You can follow any responses to this entry through the RSS 2.0 feed. Both comments and pings are currently closed.